President of the Andalusian Society for Cancerology (SAC, 1998-2000). Consultant Medical Oncologist in the Department of Oncology and Nuclear Medicine at The Santa Cruz y San Pablo Hospital, Barcelona (1983-1986). Consultant Medical Oncologist in the Medical Oncology Unit at the Malaga Provincial Civil Hospital (1987 - 1989). Consultant in the Medical Oncology Unit at the Virgen de la Victoria University Teaching Hospital in Malaga (1989 - 1994). Head Consultant of the Medical Oncology Unit in the Virgen de la Victoria University Teaching Hospital in Malaga (1994-1997). 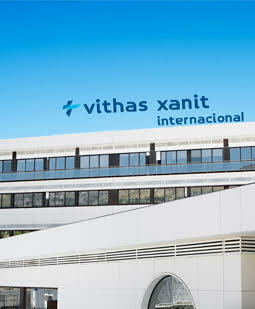 Head Consultant of Medical Oncology Services at the Virgen de la Victoria University Teaching Hospital in Malaga (since 1997). Visiting Lecturer at the Barcelona Autónoma University (Teaching Unit at the San Pablo Hospital, 1983-1987). Clinical Lecturer in the Department of Medicine, Malaga University (1990-2008). Senior Lecturer in the Department of Medicine, Malaga University, responsible for the teaching of Oncology to 6th year students studying Medical Degrees (since 2008). Certifications Accredited by the ANECA as a University Professor (2012). Memberships Member of the National Commission of Medical Oncology, on behalf of the Spanish Society of Medical Oncology (2007-2011). Member of the Spanish Society for Medical Oncology, Andalusian Society of Cancerology, European Society of Medical Oncology (ESMO), The Andalusian Society for Palliative Care and of the American Society for Clinical Oncology (ASCO). Member of the Commission ESMO-ASCO for the curriculum design in Medical Oncology. Active Member and Board Member of the GEICAM (Spanish Group for the Research and Treatment of Breast Cancer).